About Us Our New garden shop includes a range of books on growing Chrysanthemums, a selection of fertilisers and garden sundries and also Robinsons Exhibition Vegetable seeds including the famous Mammoth Onion. We plan on adding to this range in the future. We are a traditional family run Nursery Centre established in 1921 by William Nicholson Hall. 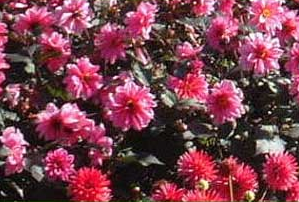 Since our early years we have grown many of our own plants and specialised in Dahlias and Chrysanthemums. Our first catalogue of these wonderful and increasingly popular flowers was first produced in 1931. Since then we have gone from strength to strength, growing almost 150,000 plants annually and supplying Chrysanthemum and Dahlia plants nationwide and to members of the EU. We also supply Dahlia tubers worldwide as well as to more local customers in the UK and the EU. 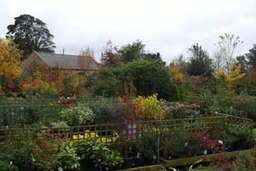 Our Heddon Nursery You will find our tranquil Nursery Centre situated 1m N.W. of the village of Heddon on the Wall, just off the B6318. As well as our extensive range of garden plants we also stock a wide range of Garden Sundries including Compost, Fertilisers, etc as well as an expanding range of Ornamental Glazed Pots and Garden Statues. 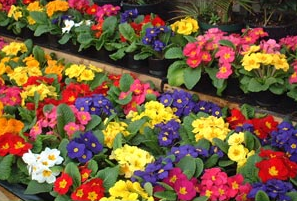 A seasonal range of bedding plants is always available. 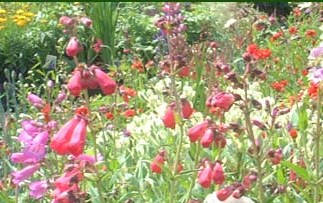 Many of the wide range of herbaceous, alpine and bedding plants are home produced at our Ovington Nursery. The Outdoor plants area is now getting well stocked up with new plants from our trusted suppliers and a range of shrubs and perennials that have been grown on our Nurseries at Heddon and at Ovington. Our Ovington Nursery The Ovington Nursery has a lovely setting overlooking the Tyne Valley in Northumberland, situated between Ovington Village and the A69. Here we specialise in Herbaceous plants, many of which can be seen in our established DISPLAY BORDERS, which are open all year round. 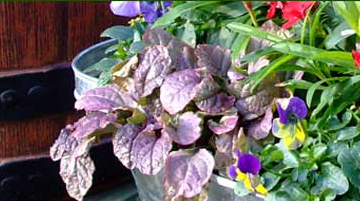 We grow many of these plants ourselves. 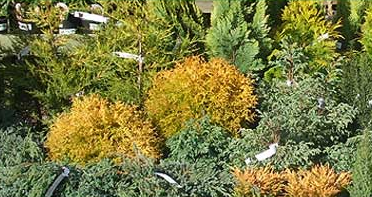 The sales area is also stocked with a range of shrubs and alpines with a selection of composts, fertilisers, pesticides and weedkillers. 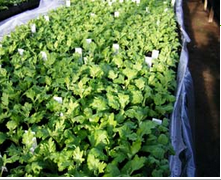 Chrysanthemums We have been supplying Chrysanthemums Rooted cuttings since 1928. 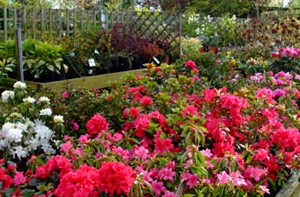 Our range now includes almost 250 varieties which can be used for Cut Flowers, Exhibiting or Garden Display. Chrysanthemum Rooted Cuttings are supplied Nationwide via our Mail Order Service, or may be collected from the Nursery.